Sign up and receive Property Email Alerts of Freestandings for sale in George, Fancourt. "Sheer Opulence" Classy and Stylish with all the mod cons!! This modern, magnificent family home is sold fully furnished and equipped with custom made furnishings and the best finishes, fittings and appliances. This home offers everything and more that will appeal to even the most demanding home buyer,it is situated in The Montagu Ridge Development at Fancourt with a prime position where the northern sunlight streams into the home making it a warm and light home with a majestic mountain backdrop. The property exudes style and quality with the latest technology.The property offers a layout that has been designed for easy living and entertaining on a large scale, with flowing reception rooms, open plan kitchen, bar area,cellar and large undercover patio's overlooking the landscaped garden and heated pool. 5 large, stylish bedrooms each with luxurious en - suite bathroom. The main bedroom is ballroom size with a huge walk-in dressing room and a morso fireplace for those chilly Winter evenings. The main bathroom has an indoor and outdoor shower. Main suite fit for a King & Queen! The owners really thought of everything when they designed this very special property. Extra features are: home theater, pyjama lounge, wine bar with cellar, CCTV and alarm, generator in sound proof room, vaccu flow throughout, an underground water tank for irrigation and much more! The home is fully automated utilizing the state of the art Control 4 system. 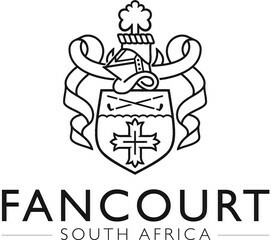 Sign-up and receive Property Email Alerts of Freestandings for sale in George, Fancourt.